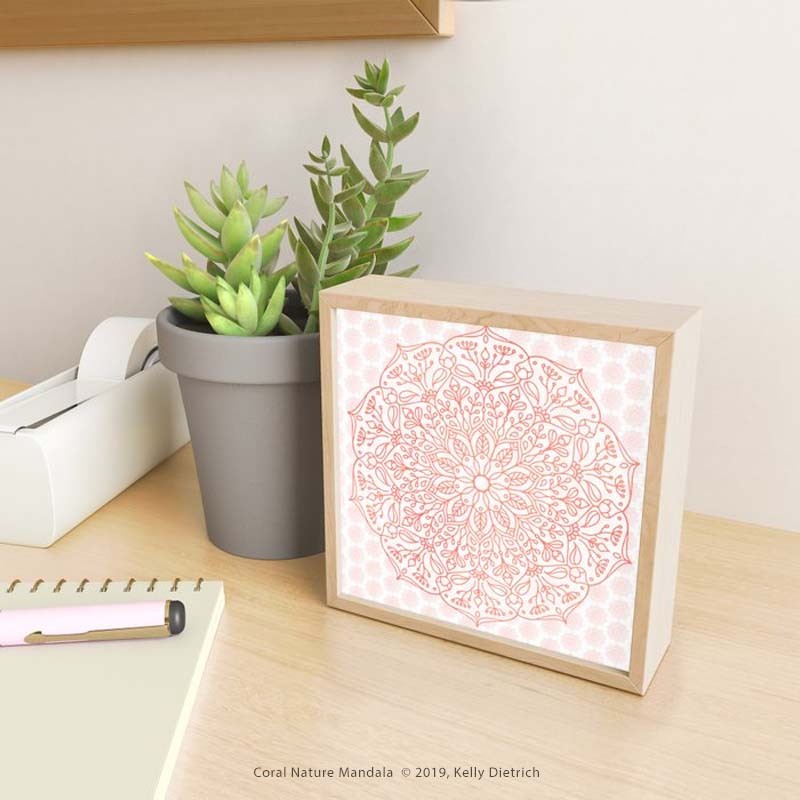 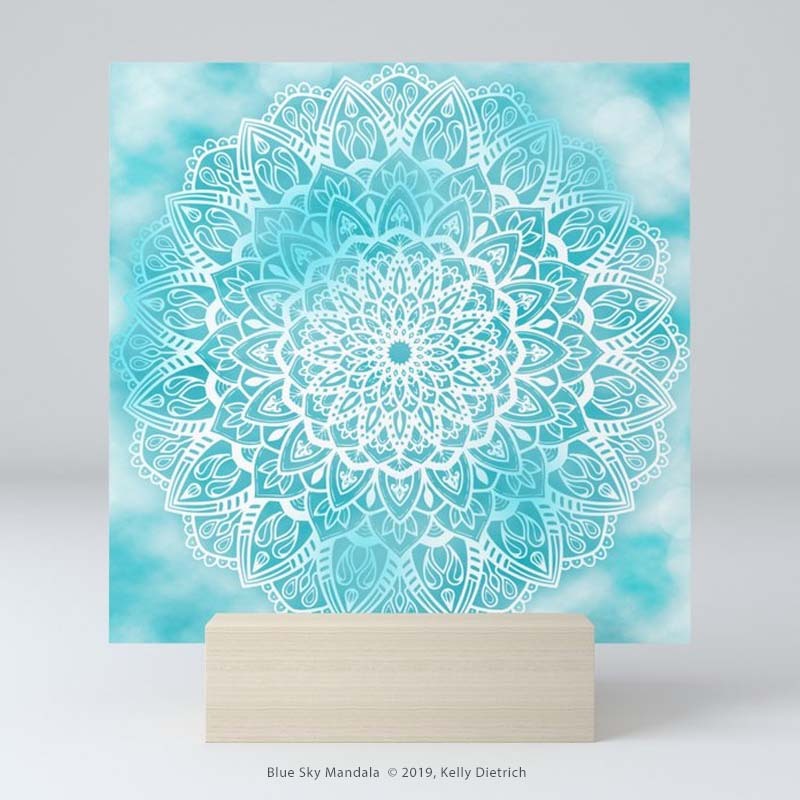 This week’s pattern coordinates with last week’s featured design, Pastel Pebbles, and uses the same bright and cheery color palette — Pastel Pebbles Mandala, shown here on a floor pillow available at RedBubble. 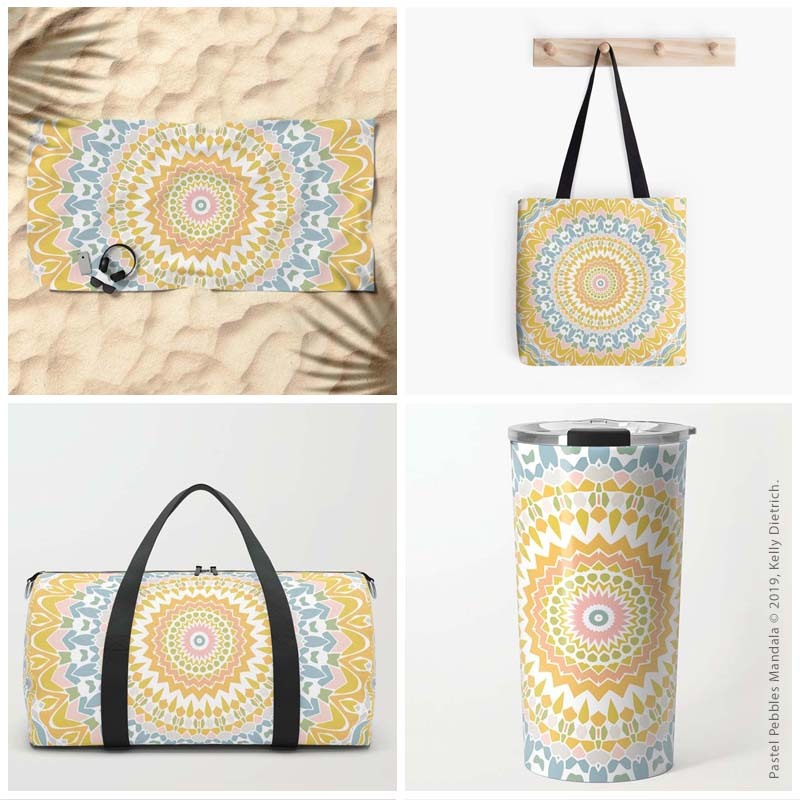 This week’s collage of showcased products follows a beach theme — everything you might need for a trip to the beach in style. 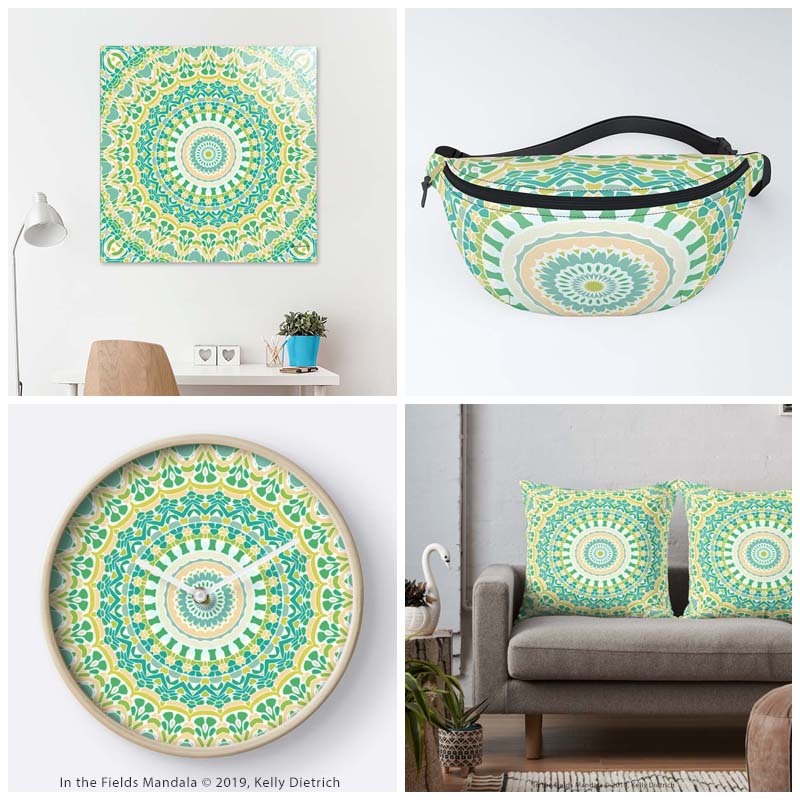 Items listed clockwise from the top left: fluffy beach towel from Society6, large tote bag from RedBubble, travel mug from Society6, and medium sized duffle bag from Society6 — all in the Pastel Pebbles Mandala design. 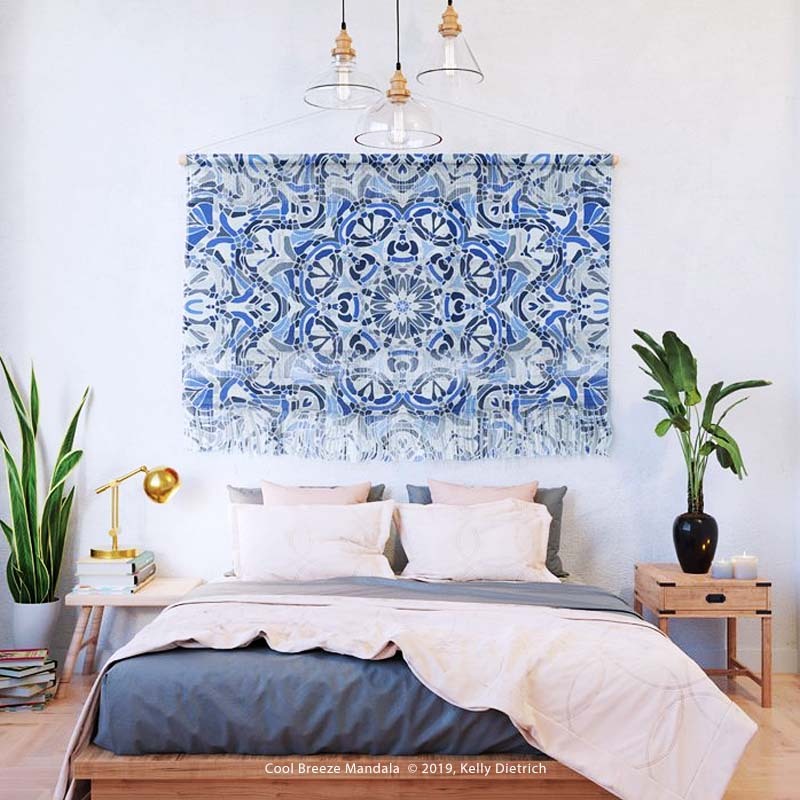 Visit the following retailers to see all the products with my latest design › Curioos | RedBubble | Society6 And please check back next Thursday to see another new design in the spotlight!